This laptop outperforms many of its competitors and comes with features that are usually expected only from the relatively expensive laptops. It has either Intel Core i7,i5 or i3 processor with 8,6 or 8 GB RAM. It also offers an SSD and has a 256 GB internal storage.The cheaper models come with an HD (1366 x 768) panel and the relatively higher priced ones feature FHD (1920 x 1080) display, which is much better. It is surprising that it has a number of useful ports despite its compact nature. The old school CD drive is also included. It has a decent performance and can manage moderate amounts of multitasking. This laptop experiences no significant delay while running several browser tabs and watching videos. In addition, this laptop can last for nearly eight hours when doing light tasks or surfing the web. Asus ZenBook UX330UA is powered by either the Intel Core i7 or i5 processor and eight gigs of RAM. It comes with either 512 GB or 256 GB SSD internal storage. This machine is very light (1.2kg) therefore very light and portable. Its 13.3-inch FHD IPS display is just excellent and boasts high color brightness and coverage. The computer includes a USB type-C port, a card reader, a micro HDMI port, and 2 USB type-A ports.The performance is just awesome as there is not any lag even when burdened with several browser tabs. It is definitely one of the most durable laptops for traveling. The Acer Spin 1 laptop is also an ideal computer for traveling. This machine is powered by either an Intel Pentium or Celeron processor with a 4GB RAM. It comes with eMMC Flash storage which normally ranges from 32 to 128 GB. It also has the 11.6″ FHD panel, which is very good in regards to brightness and clarity. This laptop also allows one to use the stylus, which comes with the laptop, for taking notes directly on the screen. Its port section is very good as well and it includes a microSD reader, an HDMI port, a USB 2.0 port, and a USB 3.0 port. This is a high-end laptop which will keep you highly productive on the move. It is among those with the best combination of durability, portability, and power. Dell XPS 13 comes with an Intel Core processor and one can get either a Core i7, Core i5, or Core i3 chip. It has a DDR3 RAM which varies depending on your particular model. In terms of storage, this laptop has a PCIe Solid State Drive which makes it much faster than standard hard disk machines. It has 3 USB type-C ports and 13.3-inch Full-HD (1920 x 1080) anti glare display. 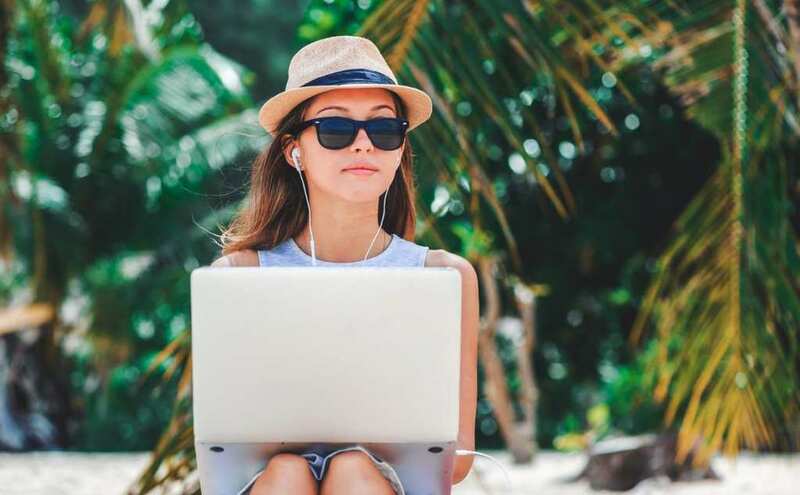 As a videographer, photographer, remote worker, nomad, or any other traveler, you need a durable laptop to bring with you. Any of the durable laptops for traveling listed above are great options for you.